Siding takes up a large portion of your home’s exterior and just like your roof, it needs some love and care every once in a while. Fortunately, siding is relatively easy to clean and maintain, especially when done in the fall when the weather is not too hot. Here are some expert tips to get you started. Different siding types have different maintenance requirements. As the most popular siding material, vinyl sets the standard when it comes to maintenance requirements. It takes very little effort to keep it clean. But this doesn’t mean that all siding materials have the same requirements. For instance, if your home happens to have siding made of wood shakes and shingles, you will have to keep an eye on it more often. Even within the same category of materials, siding may have different processes when it comes to care and maintenance. This is why you should take a moment to consult the care and maintenance guide provided by your siding contractor or call them if you don’t have one. While most composite and vinyl siding products can be easily cleaned with a hose, some will require warm and soapy water or a water-and-vinegar mixture. Avoid hard brushes when cleaning painted siding, as the paint could come off with the dirt. Consult with your contractor if you intend to use a power washer. Before you start cleaning your siding, make sure you have everything you need. Have your caddy fitted with brushes, cleaning solutions and several cleaning cloths; the latter is important for wiping water from your windows to prevent water stains. Check and make sure the hose can reach all around the house. During cleaning, don’t try to clean all sections at once. Instead, visually divide the wall into eight or ten-foot sections and clean those areas completely before moving on to the next. In case you have to take a break, you will know where to resume. In addition to making the process more manageable, it also ensures you don’t miss cleaning some areas. 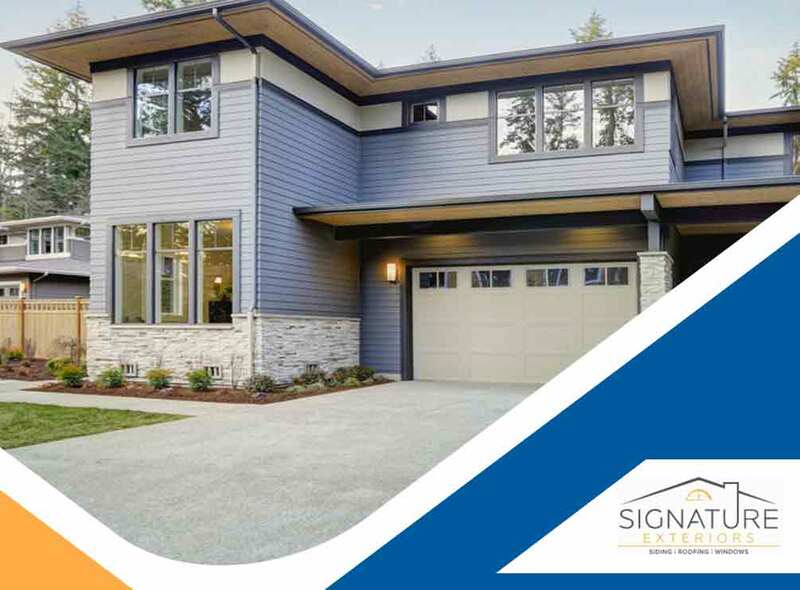 To learn more about keeping your vinyl siding clean, call Signature Exteriors today at (866) 244-8029. You can also fill out our contact form to schedule a free quote. We are a siding contractor serving homeowners throughout CT.